Jorge Casimiro thought he dreamed the phone call from Nike to gauge his interest in becoming their new vice president of global community impact. He had good reason for the doubt. It was August 2012, and his wife had just given birth to their second child two weeks prior. To say everyone was sleep-deprived would probably be an understatement. Still, it wasn’t a dream. 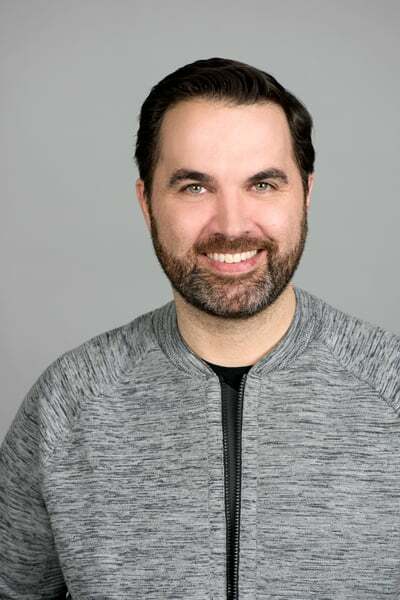 Casimiro was offered a very real opportunity to lead Nike’s Global Community Impact team and bring the best of the major international brand into communities all around the world. So, Casimiro and his family moved family from Atlanta, Georgia, to Portland, Oregon. In his role with the Nike Foundation, Casimiro and his team are using the power of sport and play to help kids everywhere realize their full potential. Today’s kids are part of the least-active generation ever, and that’s a driving force behind Made to Play, Nike’s commitment to getting kids active so they can lead healthier, happier and more successful lives. The idea of community is also core to Casimiro. As the child of Cuban immigrants, he grew up watching families in his community—including his own—helping each other and providing support whenever, for example, someone had just immigrated to the United States. He knows what it’s like to be a child and not have much opportunity to play. He spent much of his childhood helping out at his family’s gas station after school and on weekends. Although it taught him the value of hard work, opportunities to play were few and far between. His only break was on Sundays, when he served as an altar boy. “That was my out,” he recalls. When the 10-year-old Casimiro did get a chance to try out for little league baseball, the coach told him it was “too late” and that he “wouldn’t be any good.” These experiences stayed with him and had a profound impact on the leader and father he is today. In an interview with The Alumni Society, Casimiro discussed his favorite initiatives at Nike, the values of community, and being authentic. What have been some of your favorite initiatives at Nike? One is our Nike Community Ambassador program. It’s a training program that connects the passion our employees have with communities and with volunteer service. The world is moving less and less, and this generation of kids are the least active in history. Research shows if you’re going to do something about this, you’ve got to focus on kids. So, we train our ambassadors on how to give kids positive experiences with play and sport and how to partner with their local community organizations like the Boys and Girls Club of America, or their local school. Our Nike Community Ambassadors volunteer during playtime, during recess time, and during PE, making it fun and meaningful for kids to get active. Our ambassadors really show up for these kids and their communities. They represent the best of the swoosh and kids sometimes associate with them that way, referring to them as “Nike.” Like, “Hey, Nike, are you coming next week?” and “Hey, Nike, what new thing are we going to do today?” It’s great to be making a difference in a kid’s life. What personality traits do you most attribute to your success? An important trait for me is having a vision, knowing what I want to accomplish, and what the objective is. I’ve always been very clear about that—both in terms of what I’m trying to accomplish for myself but also things that I lead, what we’re trying to go after. Secondly, it’s the ability to mobilize others and leverage resources to make that vision happen. It’s not going to be a straight line. That’s where you make that objective even better. I think it is really important to always be your authentic self. A lot of times in life, when we start a new job or we start at a new company or new organization, we take a look at what’s around us. We look at other people and wonder, “How did they succeed?” In that process, it’s very easy to forget why you were hired in the first place and what you bring to the table. It’s important to learn how to get things done wherever you’re working or volunteering, but it’s also important to know how to do that anchored in who you really are. For me, had I been more astute or aware of that at the beginning, it would have been an easier time for me. How has the value of community influenced the leader that you are today? I grew up in Cuban neighborhoods or Hispanic/Latino neighborhoods in New York, New Jersey, and Florida, and our communities were very tight-knit. That perseverance and wanting to do something for your family and for your kids or for your kids’ kids was something that was so innate and powerful in that community. That sense of paying it forward—making an impact, and making the world a better place for the next generation was just so much a part of my growing up. You’re there for one another. You’re there as a team. How can executives channel their passions into their own job? The first thing is you need to have clarity about what you’re passionate about. It’s going to look different for everybody. You’ve got to start there. The next thing is thinking about how to bring that to life through your day-to-day. It may be your job, it may not be your job. It might be volunteering and supporting a cause that you’re passionate about. It might be something that you do with family or friends. For example, I’m the executive sponsor of our Latino and Friends Employee Network. That’s one way that I can naturally channel my passion within my day job. When I started at Nike, I probably would not have been a great candidate for that role, because I was still learning the ins and outs of the company and adjusting. Still, there’s a myriad of ways you can connect with your passion areas. It doesn’t all just have to be volunteer service. It doesn’t all just have to be in your job. It doesn’t all just have to be in your personal life. It can be in all of them, it can be in some of them. Finding that right mix for you is what’s important. What are some of life’s simple pleasures for you? My kids are ages seven, five, and two—if my five-year-old were here, he would remind you that he’s almost six. I’m very close with my family. We have a joke, we’re the “Casimiro Cinco.” My mom, my sister, my brother, my grandparents, my aunt, my uncle—I do live far away from them, but we get together as often as we can and stay connected through social media. When I think about those simple pleasures, especially with this special childhood moment in my kids’ lives, that really is what it’s all about. Listen to Jorge Casimiro on the final episode of The New Majority podcast, The Culture Connectors.